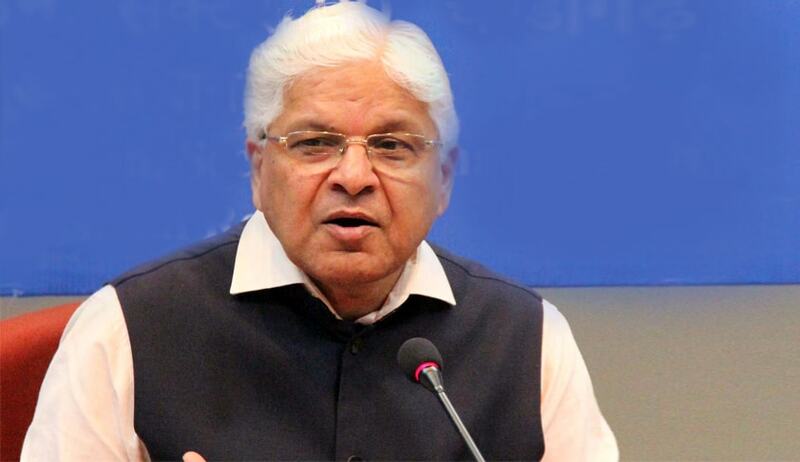 Dr. Ashwani Kumar is a member of Rajya Sabha, an eminent Senior Advocate, Supreme Court of India, and a former Law Minister of India. He graduated from St. Stephen’s College, Delhi. Thereafter, he pursued law and earned his Bachelor's degree in Law (LLB) from Faculty of Law, Delhi University, and his Masters of Philosophy (MPhil) from Jawaharlal Nehru University, New Delhi. In 2004, Dr. Kumar was awarded a doctorate in Law from Punjab University. At the age of 34, the Supreme Court of India appointed him as a Senior Counsel, making him one of the youngest advocates in India to be conferred the honour by the Apex Court.He then went on to become the Additional Solicitor General for India in 1991. Dr. Kumar’s political career began in 1976 when he was appointed as the Secretary for the District Congress Committee Gurdaspur (Punjab). From 1999-2000, Dr. Kumar was the spokesperson of the AICC and in 2001 he became the Chairman of the Vichar Vibagh of AICC. He was elected to the Rajya Sabha from Punjab in a by-election in 2002. Dr. Kumar was appointed as the Minister of State for Industry from 2006-2009. In the 15th Lok Sabha, Dr. Kumar was the Minister of State for Planning, Parliamentary Affairs, Science and Technology and Earth Sciences. In October 2012, he took over as the Minister of Law and Justice. He has participated prominently in many important debates during his tenure including on the Lokpal Bill, motion of thanks on the President’s Address, Union Budget 2014, issues of international concern such as the plight of Indians stranded in Iraq and privacy. Dr. Kumar has authored a book titled Law, Ideas and Ideology in Politics; Perspectives of an Activist in 2003. He has also written a number of scholarly articles on law; economic reforms; elections; democracy and international affairs. Dr. Kumar has travelled widely and delivered lectures and key note addresses on global tax conflicts; science and technology; economic reform process in India; etc. He was leader of the Indian business and Government delegations to various countries and has been extensively interviewed on domestic and global issues by the print and electronic media including the BBC, CNN, The Times of London, Le Figaro, Les Echos and The Dawn (Pakistan). Dr. Kumar is presently serving as a Member of Parliament (Rajya Sabha) and is the Chairman of Parliamentary Standing Committee on Science and Technology, Environment and Forests and Climate Change. He is also a member of the Parliamentary Standing Committee on Rural Development and member of the Parliamentary Consultative Committee on Defence. Live Law: Sir, you have been in the profession for almost over four decades now. Can you share your experience as a lawyer starting from your initial years at the Bar to the pinnacle of the profession. Dr. Kumar: The initial years at the Bar were years of struggle, but taught me the simple truth, that perseverance prevails. My life, in a very significant way is defined by my journey as a lawyer. It has been an arduous journey but an enriching one. The ennobling moments with H. M. Seervai on his visit to Delhi , experiences during the Bhopal Gas case, designation as Senior Counsel by the Supreme Court at 34 in 1986 and the training received during my earlier years at the Bar from my seniors remain my fondest memories as is the experience of thrill in Court battles. Live Law: Sir, do you think there is an oversupply of Law Students and deficit in terms of those actually taking litigation as an area of practice? What needs to be done in order to attract young law student into the profession? What is your suggestions to BCI in this regard? Dr. Kumar: I believe that to become a true lawyer experience of litigation is a must. I would advise every aspiring lawyer to spend at least two years in the trial Court to sharpen the mind and a compulsory reading of classics such as Monir’s Law of Evidence and Brooms Legal Maxims to grasp fundamental legal principles. BCI should find mechanisms to encourage young lawyers in litigation through legal aid briefs and to pay them well, which is important to encourage lawyers to get over financial uncertainties in early years of the profession. Live Law: As a former Minister of Law and Justice in the Union Government, how will you describe a busy day in the office? Dr. Kumar: Mine was an 8.30 am to 8.30 pm day, sometimes even later and not a minute to spare. The range of responsibilities of a Law Minister is vast and requires reading, deliberation and reflection. Between reading of files, attending to parliamentary work, meeting visitors, conferring when necessary with officials and law officers in discharging official duties makes it a very full plate. Live Law: Can you share your experiences in Court Rooms?. Any interesting event/story you would like to share with us? Dr. Kumar: There are many, but would like to share one in particular. While arguing for the State of Madhya Pradesh in one of the rounds of the Bhopal Gas case litigation, Justice M. N. Venkatachaliah, a judge for whom I have the highest regard asked me two hyper technical questions relating to the medical field. I had not anticipated these questions and sought time to answer these after obtaining instructions. To the best of my memory Justice Venkatachaliah said something to the effect that I should have known and been better prepared. I felt, this was unfair because hardly any lawyer in the normal course could have been expected to answer the questions off hand which even medical experts could not. During lunch, I went to the Chamber of Justice Venkatachaliah and expressed my anguish and a feeling of hurt. Upon hearing me, he stood up from his chair and apologised for the hurt he had unintentionally caused me. I felt reassured and satisfied. But this was not all. The following day before the hearing resumed, Justice Venkatachaliah said in the open Court that he had asked me certain questions on the previous day which upon reflection he felt could not have been answered by Counsel and that he would like to apologise to me in open Court. Such was his humility. He was a great Judge and my ideal of a great man, in every way. I can never forget his act of grace and humility. Live Law: Can you share your experience of the most difficult case(s) of your career as a Senior Counsel? What moment of the profession do you cherish the most? Dr. Kumar: There have been such cases I can cite one or two here. One was a case concerning the enforcement of an international arbitral award in India under the 1996 Act. The case started soon after the new Arbitration Act came into force and took several years to conclude. We finally won this case. I argued before the Division Bench of the High Court and won . The matter was taken in Appeal in the Supreme Court. I could not argue the matter because by then I had joined the Government. Earlier also, I had to leave the Bar in between in 2006 when I joined Government for the first time. In my earlier years at the Bar, I was instructing N. N. Mulla, Senior Advocate in a murder appeal before the Supreme Court. On the very day the case was to be argued, Sh. Mulla could not turn up. The appeal was against concurrent findings of the Trial Court and the High Court against my clients. They had been sentenced for life imprisonment in case of murder. I was called upon to argue and we won the appeal on a fine question of law. This was, indeed a very satisfying and encouraging experience for a young lawyer. Live Law: Sir, you have seen all sides of the table; starting as a law student then to a legal counsel, then to an eminent Senior Counsel followed by being the Additional Solicitor General of India, an author, a Policy maker being a member of the upper house of Parliament, Chairmanship of various Parliamentary Committees, as a Minister with various Ministries of the Government of India, you have done it all. How has the journey been and what are the experiences you would share with our readers? Dr. Kumar: As I said, it has been an arduous but a rewarding journey. A long haul with many ups and downs but then as has been said “life not put to test is not worth living”. Mine has been a life put to test. At this moment in time, I feel truly blessed with my exertions having been fully rewarded. I feel contended and fulfilled and this can only be with the Lord’s blessings. Live Law: What are your views on the Right to Stipend for a “Law Internee” in Firms, Courts, Tribunal, NGOs, and Companies etc? Dr. Kumar: A decent stipend for a “law intern” must be ensured , if necessary, by law so that there is a uniform standard and all institutions are equally placed in having the benefit of assistance of the interns and in their obligations to give a decent stipend to intern. Live Law: Given an opportunity, what will be your response if you will be considered for the elevation to the Bench? Dr. Kumar: I had turned down such an informal offer several years ago although when I was in school, my ambition was to be the Chief Justice of India. Live Law: According to some jurists, the National Judges Accountability Bill will mark the end of ad-hoc judiciary. What is your opinion on this? Dr. Kumar: For a variety of reasons, I would rather reserve my comment on this question. Live Law: “If it May it Pleases the court” / “If it May please your Honour” / “May it please my Lords” these phrases are used by the lawyers in their practice before judges. What exactly do these phrases mean and what message does it convey? Sir, do you really think that the judges are flattered by such phrases? We have seen some High Court courtrooms carrying a notice saying not to refer the court as “Lord” / “Lordship”. What is the correct way of addressing a court / different courts? Dr. Kumar:The Judges, to be fair to them, do not insist that they be addressed as “Lords”. It is now a sheer force of habit that the Judges of Superior Courts are addressed in a particular way. I believe, most Senior Lawyers in addressing Judges as “My Lords” feel comfortable because of a long tradition and habit. Live Law: According to you, what is the importance of an LL.B degree for a politician? Dr. Kumar: A mere degree is not enough and I don’t think contributes significantly to the making of a politician. What is important for a budding politician is to inculcate a spirit of respect for and deterrence to law and its principles. Live Law: Sir, does corruption still exist in the judiciary? Dr. Kumar: By and large, I believe our higher judiciary has acquitted itself well on this Count. Stray examples cannot be used to make a sweeping judgment. Cases of corruption in the judiciary are exceptions and there is a mechanism in place to apply the correctives. Live Law: Now-a-days we find students, young advocates researching more from software based journals rather than reference books / manuals for primary research. Some lawyers argue their whole case directly from ipads/ tablets. Some courts have turned into E-Courts. While the intent is to reduce paper and in turn protect the environment, would you agree that reference books have now come of age and their use will eventually be lost and forgotten to electronic research? Dr. Kumar: Personally speaking while e-research has made research easier and less time consuming, there is no substitute for reading the texts and reference books for purposes of comprehensive research. The feel of a law book in hand is itself an aid to the learning and reading of law. I rely on my own reading of the case laws and commentaries from real books, but I have no quarrel with those who rely on software for research. Thank you so much sir for your time and consideration. We wish you all happiness and health in future. Shobhit Batta is an Assistant Editor(Law Firms).